Product prices and availability are accurate as of 2019-03-30 17:41:10 EDT and are subject to change. Any price and availability information displayed on http://www.amazon.com/ at the time of purchase will apply to the purchase of this product. 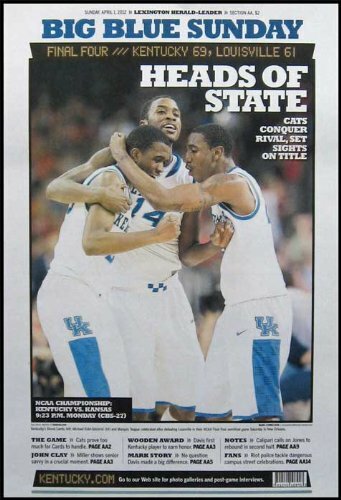 On March 31st 2012, the Kentucky Wildcats beat the Louisville Cardinals 69-61 in the 2012 Final Four. This front page, dated Sunday April 1st 2012, is a reproduction of the Lexington Herald-Leader newspaper, available at Rupp Arena after the NCAA Tournament. It features a large photograph of the celebration. Measures 10 in. x 14 in. This print is protected from dirt and moisture with an antireflective UV filtering film. It is mounted on a 3/8 in. wood fiberboard. No frame required! The edges are beveled and coated with a black colored foil. 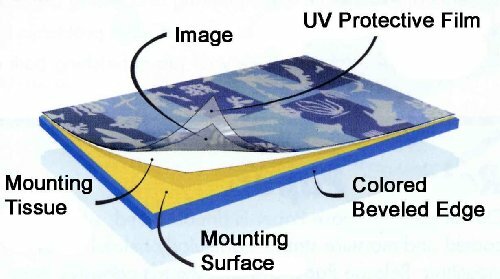 This high quality product is manufactured by Laminated Visuals. Easy and ready to hang!